With Spring arriving in much of the country, this is a great time to celebrate the colors of the rainbow. 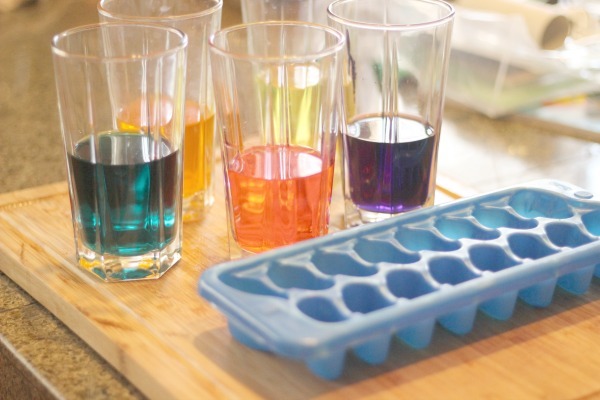 This hands-on sensory activity for kids uses favorite science concepts in a rainbow ice painting preschool activity for kids! 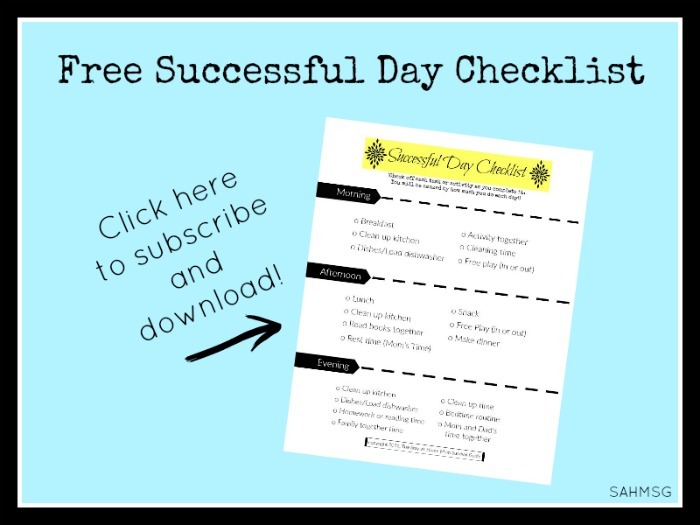 It’s easier than you think to create multiple learning activities that are fun for your kids. With simple materials you have in your kitchen you can create a science and art activity for kids! 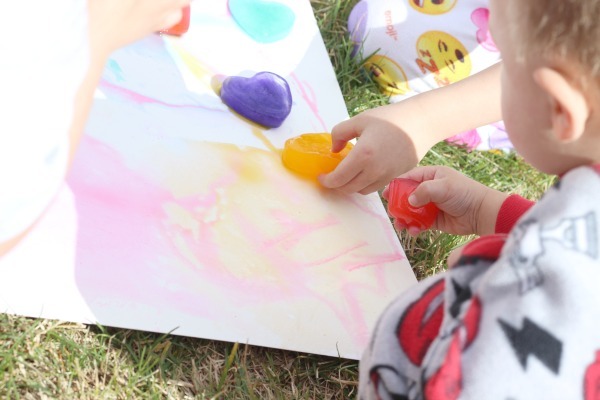 This Rainbow Ice Paint activity was double the fun for me too because we were able to use leftover materials from our rainbow celery science activity! Even if you don’t do a rainbow celery science experiment, here is a fun Rainbow Ice Painting preschool activity for your kids! We used the water in our glasses from the Rainbow Celery Science to create Rainbow Ice paint. Then. we got out some ice cube trays. I’m all about getting the most use out of what you have. 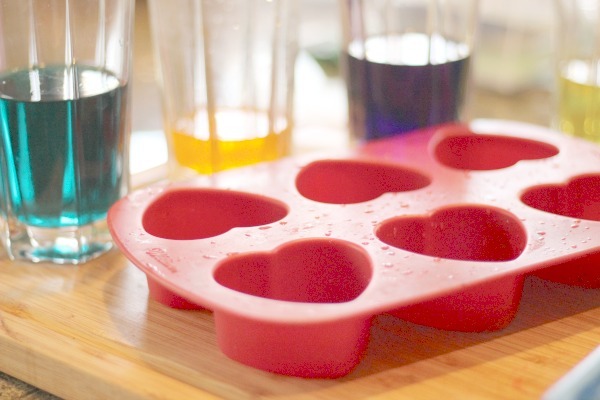 We added each color of the water to different ice cube sections in the ice cube tray. We talked about what we thought would happen to the rainbow colored water if we put it in the freezer. We let the rainbow water freeze overnight (you could probably do it in a couple of hours, depending on your ice size and your freezer). Then, we pulled out the ice trays and talked about how the water froze. Then, we got out a big piece of watercolor paper and brought it outside along with the rainbow ice. Quick Tip: It was nice to do it outside to prevent a mess. We did it on the grass so it did not stain the concrete. My kids loved the bright colors of the rainbow ice! They couldn’t wait to touch it all! Then, I asked them to paint with the rainbow ice. They liked the heart shaped ice from the heart cupcake tray because they were bigger for their hands to hold. 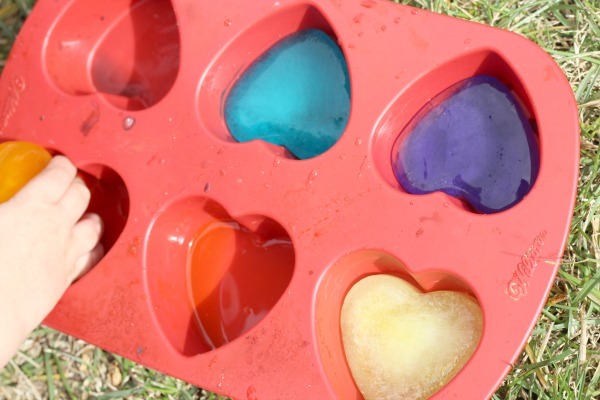 Quick Tip: You can use all different shapes of container to create ice shapes for your kids, big and small! They grabbed the ice and loved rubbing it all over the big paper as it melted. They loved mixing the colors and watching it melt from them holding it and the friction on the paper. Kids seem to love doing art on a big piece of paper! I loved how each of their creativity was added to the rainbow sign. We made it into a big Welcome Home sign for grandpa, just returning home from surgery. We drew a big heart with a Welcome message. And all of this started with Rainbow Celery Science! Science: You could talk about how colors change as you mix them, how water changes when you freeze it. Reading and Writing: You could write your science observations of rainbow water changes to rainbow ice and read it aloud. Math: You could count the ice cubes. Social Skills: Taking turns pouring in the water and food coloring and working together to create one big card for a loved one! Faith: You could talk about how God’s love starts in your heart and when you soak it up and believe in his love, it spreads through to others like the ice melted and spread all over the paper. More Movement & Motor Skills: You could add the left over ice back into a bathtub and have them try to grab the rainbow ice with tongs out of the rainbow water. What are your favorite Rainbow Science Experiments? Let us know if you try the Rainbow Ice Painting preschool activity! Tracy Murdock is a wife and a teacher made mom to twin girls and a boy. 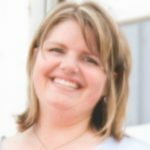 She loves to share simple kids crafts and learning activities on her blog Your Twin Mom, so all moms can enjoy their kids and teach them along the way. 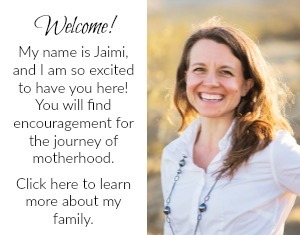 She loves Jesus, photographing her kids, and has a MA in Education. 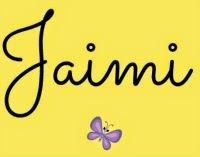 Follow her on Pinterest.